Tasmania might be a little island but it grows a majority of the country's hops, many of which are in growing demand globally. So it's only fitting the state should celebrate its annual bounty, something the team at Saint John Craft Beer in Launceston has been doing in recent years. From April 26 to April 28, more than 25 breweries from across Australia – most of which hail from Tassie – will launch new beers they've created with hops have been rush straight from their bines to the brewery quicksmart. Over the weekend, the brewers will be there mingling in the crowd and taking part in masterclasses and Q&As, should you wish to bend their ear about their beer. And don't go expecting a lineup of pale ales and IPAs designed to let the hops shine in the most straightforward of manners; you can look forward to everything from sours to dark ales to lagers to double IPAs, plus awesome Tasmanian food stalls and cracking music from local musicians too. 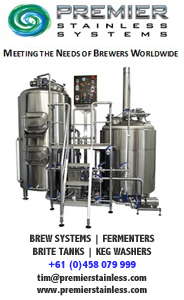 There's some new faces on the lineup this year too, with the full lineup of brewers here. 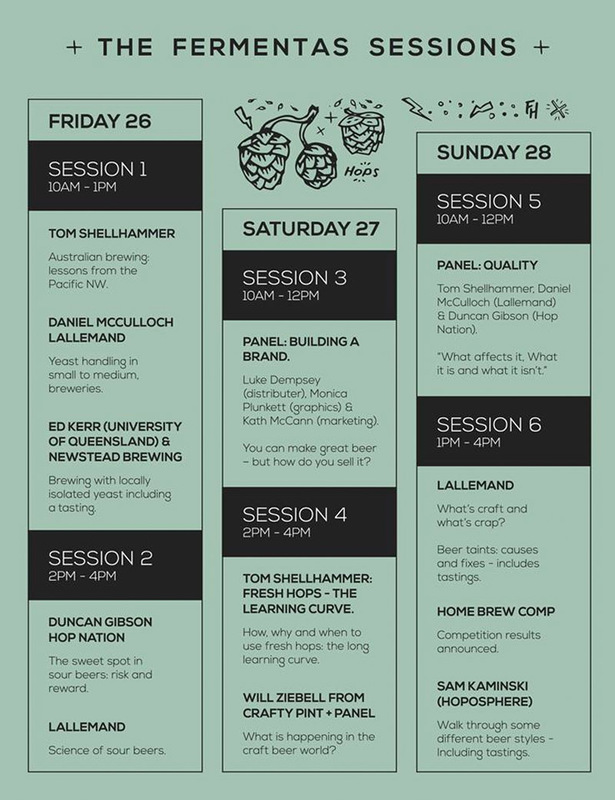 You can check out the FermenTas Masterclass lineup – including one on future trends hosted by our very own Will Ziebell – below. Tickets cost $20 plus booking fee for Friday and Saturday, $10 for Sunday, or you can snap up a weekend pass for just $40. There's also free tickets for Cabal members (see below) and we're giving away two double weekend passes in our Friday newsletter on March 29. Once again, The Crafty Pint is delighted to be partnering with Fresh Hop and has lined up a stack of weekend passes for supporters. We've got some for existing members of The Crafty Cabal, our beer lovers bonus scheme, as well as a couple of new signups. If you're already a Cabalista, enter the ballot in your member's area now and we'll pick winners on April 5 so you've got time to plan your trip. If you'd like to become a member and get $80 of your $99 first 12 month membership back instantly, head here and grab a signup bonus before they're gone! Then you can start redeeming offers, entering competitions and more straight away.